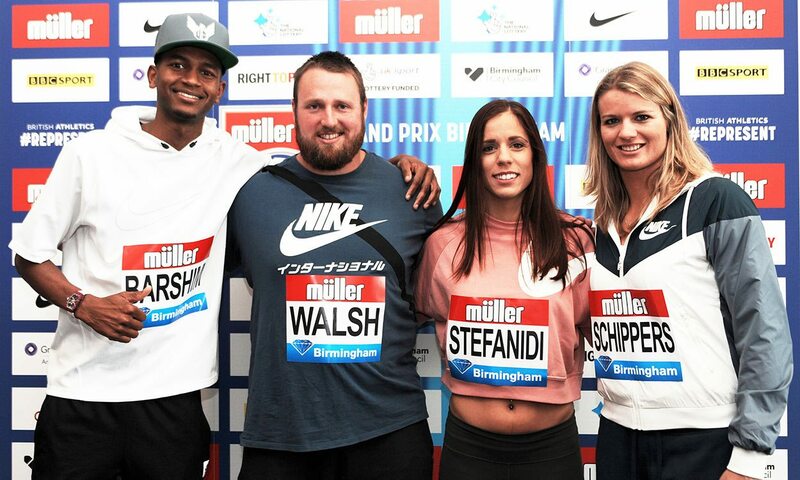 Many recently-crowned world champions will be among those returning to action on Sunday (August 20) as IAAF Diamond League series action continues at the Müller Grand Prix Birmingham. Fresh from their gold medal-winning performances in London, high jump champion Mutaz Essa Barshim, shot put star Tom Walsh, pole vault winner Katerina Stefanidi and 200m champion Dafne Schippers reflected on their performances in the UK capital and voiced their hopes for further success in Birmingham. “First of all I want to enjoy tomorrow,” said Barshim, who added the world title to his high jump bronze claimed in London five years before. “My target for this season was to win gold in London; it’s done out of the way so I want to go out there, enjoy and of course I want to jump good. All of the London world medallists in the men’s shot put and women’s pole vault will be competing, while the women’s 200m medallists form part of a stacked 100m line-up. A more in-depth event preview can be found here, while entry lists and a timetable is here.